The Internet is undeniably a phenomenal gateway to a flowing river of knowledge, but there are areas where it's tough to find exhaustive and well-organized information. If you're interested in birds, for example, the All About Birds Bird Guide is a wonderful one-stop pool to get your feet wet. If you want to plunge deeper, there's the Birds of North America Online, the more-exhaustive relative of All About Birds. Here's where you'll find the details about each species that regularly occurs in North America, north of the U.S. - Mexico border. But swim a bit father afield, into the neotropics, and the organization isn't as structured. Lots of info to be found, but often scattered across multiple sites, difficult to find, and in some cases completely lacking. And in other cases, it's even worse: the information is simply wrong, based on conjecture; fact-checking can be sketchy on the 'Net. But not for long. The Cornell Lab of Ornithology is pleased to announce the launch of Neotropic Birds, a free resource that covers all species that regularly occur south of the U.S. - Mexico border, all the way to the southern tip of South America. Act now and you'll get the birds of the Caribbean for three easy payments (and one complicated one)! I'm kidding. Of course, all of those Greater and Lesser Antilles are yours, absolutely free! It's a work in progress, not all species are represented. They will be, over time, and the current introductory accounts will continue to be updated and expanded as we learn more about these amazing species. 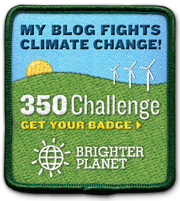 You can read a letter of introduction from Tom Schulenberg, one of the site's creators, at Laura's Birding Blog. 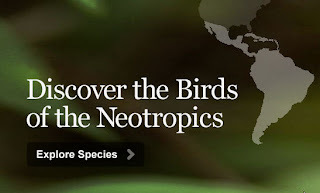 Now is the time to safely dive into Neotropic Birds! This is VERY cool Mike. Many times I've reached for the BNA-like account of a subtropical species and came up empty handed. Way to go. What a huge project, that's going to be incredible once you get all the birds on there. On a side note, that Saffron Toucanet on the header is killer. What a cool bird! I'm trying to persuade someone around the Lab to send me to record these birds. It's not going well, something about "tough economic times." Excuses, excuses! Like you, Laura, I've often tried to find a succinct compilation of the information about neotropical birds but came up short - and with "iffy" sites. N8 is dead on: it will be incredible once all (actually, I'll be wicked excited when a majority, or even a quorum) the birds are in there. Enjoy! I'll try and provide updates as I learn them.